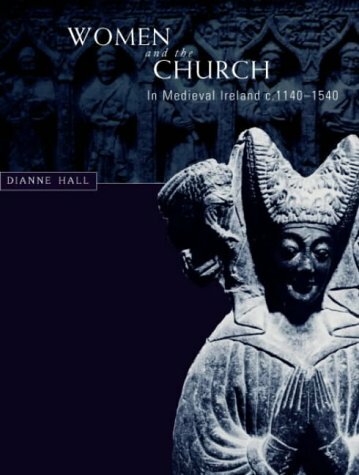 A major study of women and the medieval Irish church, this book includes groundbreaking investigations of medieval nunneries in Ireland, their personnel, patrons, buildings and estates and their strategies for ensuring the productivity of their resources. The author argues for the existence of close ties between the supposedly cloistered nuns and the surrounding lay communities. Medieval women not among the small number who actually joined nunneries channeled their pious energies towards such activities as patronage of local churches and monasteries, pilgrimage and requests for papal and Episcopal privileges. These pious activities are examined in detail and placed within their European context. This exploration into a previously neglected aspect of the history of monastic and church life in medieval Ireland is a major contribution to the history of women in Ireland and Europe. We are a small business that loves books! Please contact us if you have questions about any of our books or would like pictures. Any book may be returned for a full refund when initiated within 30 days of the estimated delivery date, for all reasons under AbeBooks' Return Policy. Refund amounts are based on the return reason. If the return reason cannot be determined, the minimum required refund amount is equal to the item price. Please email us with any inquires. Orders ship either on the same day the order was placed or within the next two business days. Holidays and Postal holidays may effect these times. If your book order is heavy or oversized, we may contact you to let you know extra shipping is required.